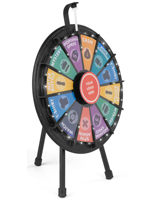 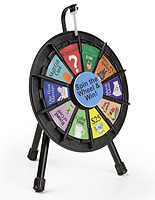 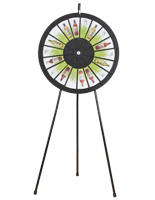 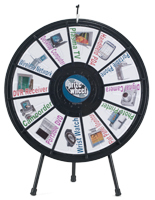 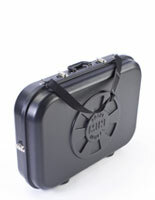 The 26" spin and win game is the perfect motivational tool to play at a corporate meeting or tradeshow. 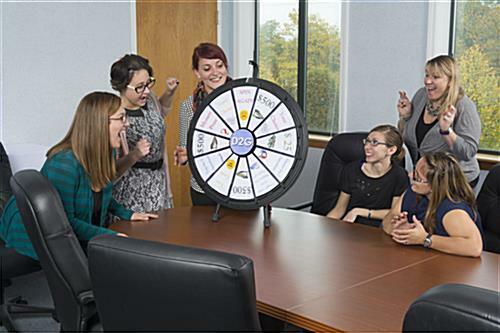 Boost employee morale with the replica wheel of fortune. 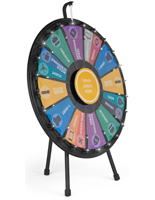 Have guests at an exhibit play the counter top spin and win game to generate interest in your products or services. 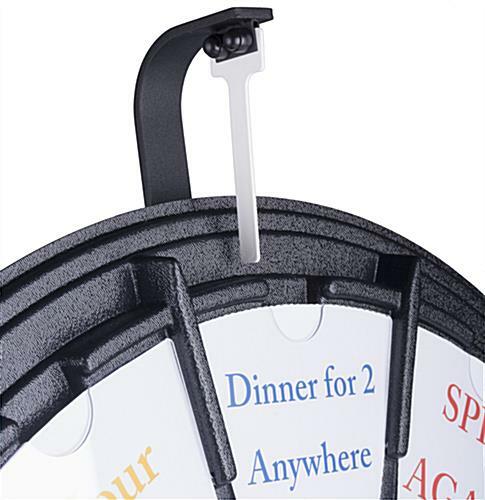 The clicker attracts attention with the casino like sound. 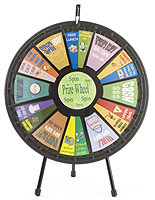 Each spin and win wheel of fortune game has 12 slots for printouts. 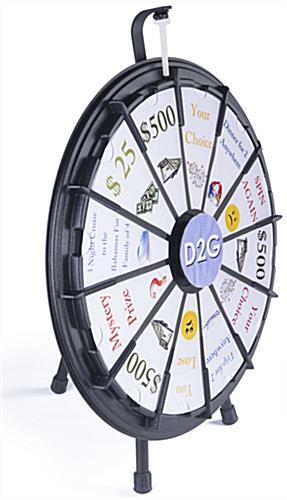 The prize options easily slide into the game board under the clear plastic panel. 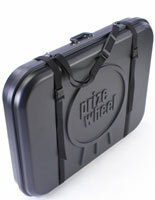 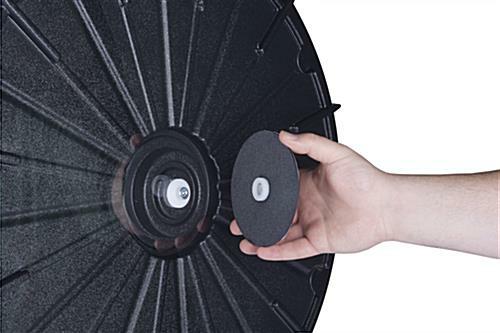 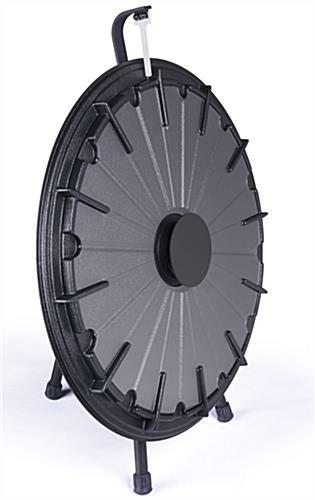 The back of the wheel is designed with a built in tri-pod which easily collapses for traveling between locations. 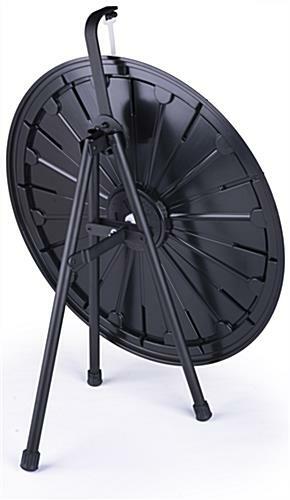 26.0" x 32.0" x 17.0"